Spring is in the air and you’re bombarded with baby showers. What was happening 9 months ago for this baby boom? 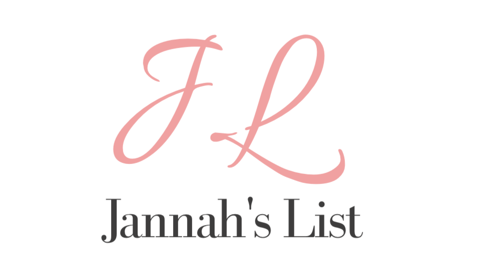 Jannah’s List found 10 unique Islamic baby shower gifts that any Muslim mother-to-be will appreciate, and the other guests will wish they had given! 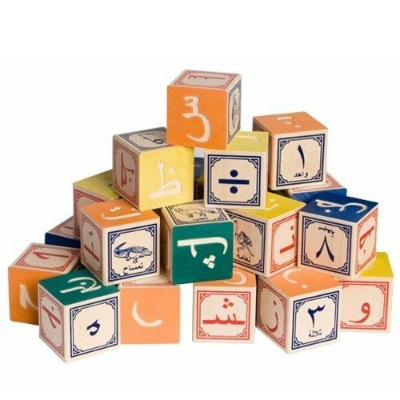 This Arabic language set contains 28 blocks representing each of the letters of the Arabic alphabet and their separate form depending on where they are in the word. This set also contains 3 complete sets of numerals plus arithmetic operators and 28 animal pictures. Made from Michigan basswood, brightly colored with child-safe inks, and handcrafted with attention to detail. The blocks are a generous 1 ¾” cubed a perfect size for small hands! With so many prints to choose from, Little Wings Gallery contemporary Islamic art is a winner! 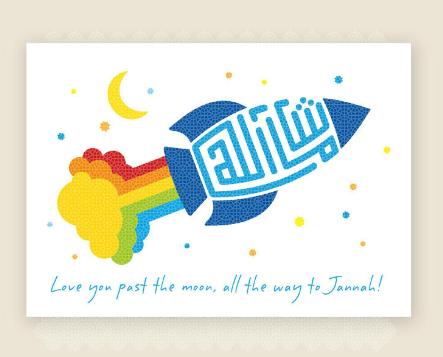 Zooming past the moon, this little rocket print made from the words ” Masha’ Allah”, will make a wonderful addition to any child’s room. 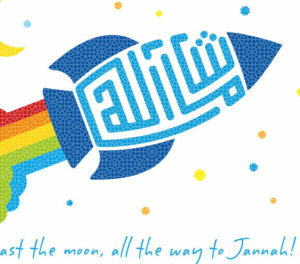 Below is the message “Love you past the moon, all the way to Jannah” as a lovely reminder for any child. Aamina, the Talking Muslim Doll, speaks when you press her hands and feet. This is an enjoyable way for your children to learn about Islam and it’s teachings. Aamina will recite some essential Quranic words, phrases and surahs together with their meanings. Yusuf is also available for boys! 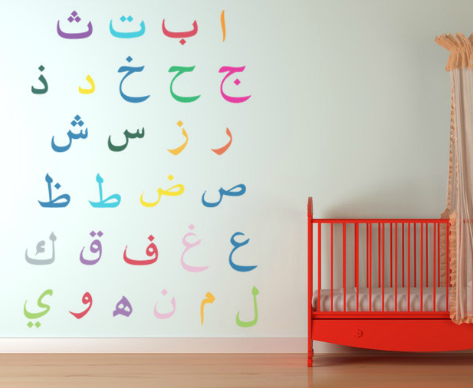 Start young with introducing the Arabic alphabet, and you’ll be surprised to see how quick your little one will pick up his alif, baa, taas with these colourful wall decals. In bright vibrant colors, these are must have for all toddler and kids rooms. Who was Noah? When do Muslims pray? 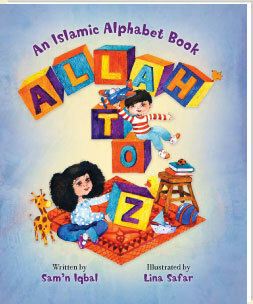 In Allah to Z, children of all backgrounds will delight in these 26 simple rhymes that introduce Islam in a fun, contemporary way. Combined with colorful illustrations, each page will capture kids’ attention and open a window into Islamic culture and history. 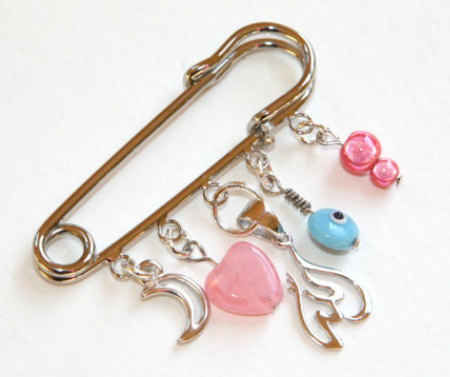 This safety pin made for Muslim baby has an Allah charm, glass evil eye beads, pink glass heart and a lead-free pewter heart charm. Pin it on the blanket or car seat to always remember that Allah is protecting your baby. 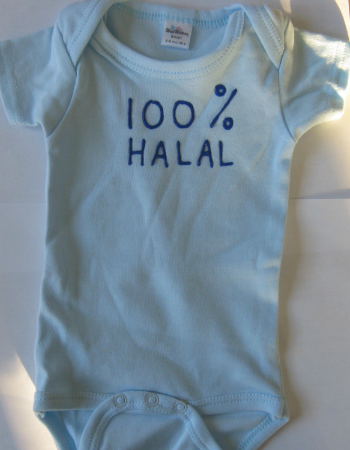 Any little Muslim will look just adorable in this 100% Halal imprinted baby onesie! Welcome the new baby with the well wishes that it deserves! 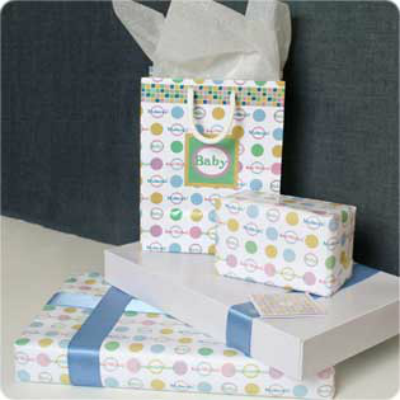 This gift wrap is perfect for a baby boy or girl. It is beautifully designed with pastel circles and the phrases “Mubarak!” “Baby” “Best Wishes!” and “Congratulations!” and coordinating gift bags, announcements and enclosure cards also available. 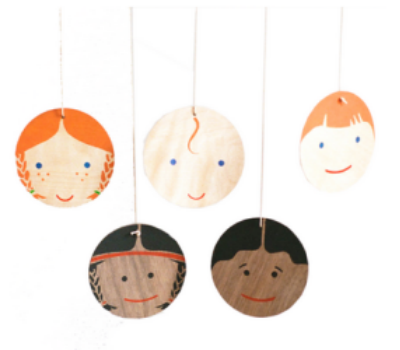 Five hand painted happy faces hang from a wooden dowel, making each mobile unique. This multi-cultural mobile will introduce your child to a world with diversity from the start. This beautiful hand drawn Islamic greeting card for a New Baby Girl comes with a white envelope and cello wrapped. 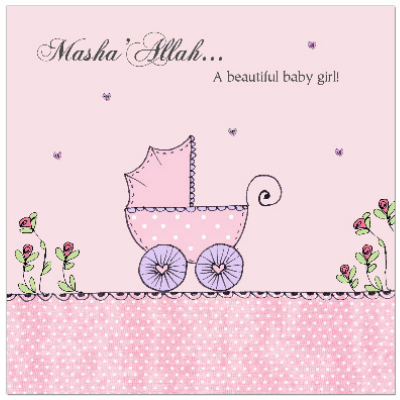 Caption on the card front reads, Masha’Allah… A Beautiful Baby Girl!